I'm someone who wears hats all year round as I tend to keep my hair in a short mid fade. The Lacoste Wool Knit Beanie for me is a must, as it is a classic that never falls out of fashion. Made from wool in an Aran Knit, this beanie is a comfortable choice to keep your head warm through the colder months. Plus the knit was totally made for me, it's practically named after me. The Bomber Jacket is back in fashion and as someone who loved them when I was growing up, it's put a smile on my face knowing I can get myself a new one. The Maniere De Voir MA1 Bomber Jacket is made from a smooth nylon fabric, with ribbed collar, cuffs and hem. The MA1 Bomber also has press stud side pockets and embroidered zip guard. It's one that will keep you warm and on trend throughout the icey, cold months. The WIP Long Sleeved T-Shirt from Carhartt is made from 100% cotton. The Work in Progress line looks crisp and is an essential item if you're trying to represent the casual look. I'll be adding the black and blue t-shirts to my wardrobe. I love Diesel Jeans, for me they have the longest life time and never fall out of fashion. I prefer the straight cut style as I'm not one for skinny jeans. The Waykee 886Z's are perfect for anyone who wants to wear a slim fitting jean, whilst also feeling comfortable. I'm someone who prefers the casual look and having great trainer game always helps in regards to rocking this look well. 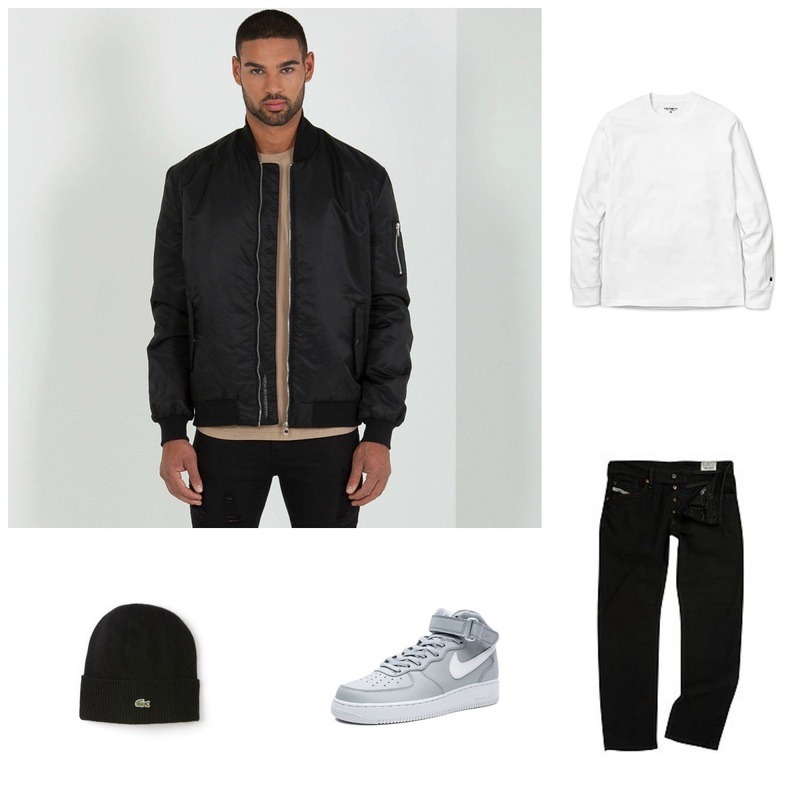 The Air Force Ones are a timeless classic when it comes to trainers and can be used as part of your Autumn/Winter look. I love the mid style trainer cut just because it helps make your trainer game stand out more. What are your go to pieces for Autumn/Winter?